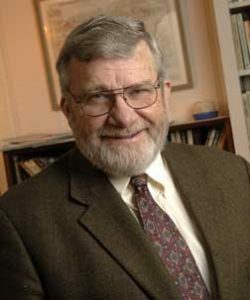 Dr. John Sullivan was named Elon’s first Distinguished University Professor in 2002. Criteria for the award are intentionally broad: excellence in teaching, scholarship, service and leadership. A faculty committee, with members from all ranks, is appointed by the president. The committee, after soliciting nominations from all full-time teaching faculty, forwards a written nomination, with supporting materials, to the president for his review. With the president’s approval, the nomination is forwarded for final consideration to the Board of Trustees.